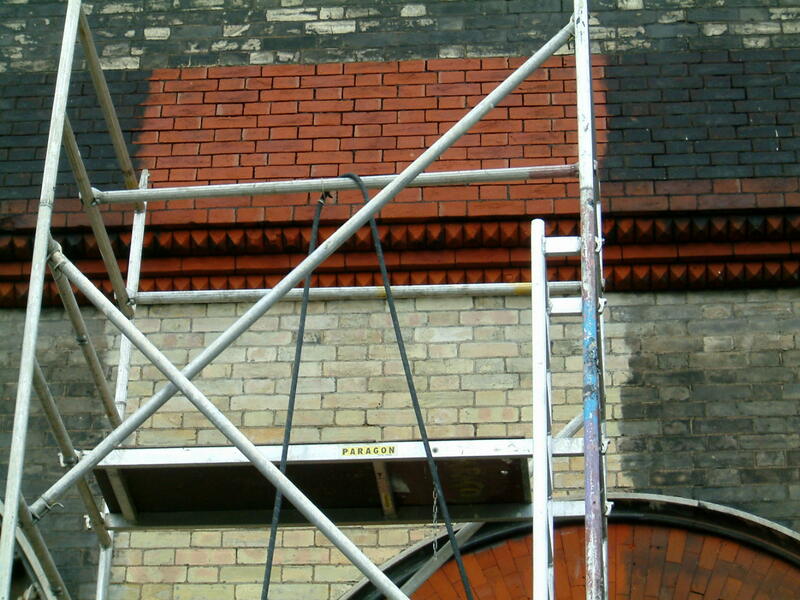 Tensid is a supplier of the PROSOCO range of masonry cleaning and restoration products. These cleaning and restoration products provide reliable and effective solutions to handle the effects of carbon, oxidisation, metallic staining and general soiling. We have products to use on all masonry types and for interior or exterior cleaning. Stone & Renderwash effectively removes organic and moisture related soiling and stains from most porous building materials. Easy, fast and safe to use on most materials. It is recommended for exterior use on stone and render, terracotta, monuments, pavings, decking, fences etc. PROSOCO Restoration Cleaner is a concentrated compound formulated as a carbon solubiliser. Used properly, it cleans, brick, granite, sandstone, terracotta, exposed aggregate and other masonry except limestone, marble or concrete. This product has been used to safely restore historic structures world wide. Application to masonry surfaces loosens and dissolves dirt, paint oxidisation, carbon buildup and other atmospheric pollutants. A simple cold water rinse then removes these unsightly stains. PROSOCO 766 Limestone and Masonry Prewash is a strong alkaline based cleaning compound formulated for use with Restoration Cleaner, Limestone Afterwash or Limestone Restorer. When used properly, the prewash dissolves and assists in removing heavy carbon encrustations from brick, terracotta, sandstone, limestone and most other masonry. PROSOCO Heavy Duty Detergent is a concentrated formula designed for cleaning heavily stained masonry surfaces and maintenance of surfaces protected with ProSoCo Tile and Masonry Protector or SLX100. This non acidic detergent is ideal for interior or exterior applications and will not normally affect polished surface. PROSOCO STMC is a cleaner which is powerful, yet environmentally responsible. It is ideal for the maintenance cleaning programme for surfaces protected with ProSoCo STMP – Stone, Tile and Masonry Protector, SLX100, Limestone and Marble Protector or Tile and Masonry Protector. It is extremely dilutable and non hazardous in its concentrated form and effective across a wide range of uses. PROSOCO Efflorescence Control B is a unique, totally clear hydrophilic compound that penetrates deeply into the masonry surface and prevents the recurrence of salt formation and unsightly efflorescence. For use in conjunction with 600 Detergent which removes efflorescence/salts from all types of masonry. PROSOCO Limestone and Masonry Afterwash, a mild organic acid cleaning compound, neutralises and brightens surfaces that have been prewashed with 766 Limestone and Masonry Prewash. When used properly, this two part cleaning system removes heavy carbon dirt and other atmospheric stains from porous limestone, concrete and most other porous masonry surfaces. 766 Limestone and Masonry Prewash and Limestone and Masonry Afterwash will not damage most masonry surfaces. PROSOCO Limestone Restorer is a concentrated acidic cleaner for unpolished limestone, concrete and cast stone surfaces. Safely removes atmospheric dirt, mildew and many other surface stains without risk of bleaching or discolouration. Ideal for lightly to moderately soiled surfaces. PROSOCO Liquid Marble Cleaner Gel is a non acidic, low odour, blue coloured gel for commercial cleaning, restoration and maintenance of polished stonework or glazed masonry. It loosens and dissolves surface dirt, carbon buildup and other atmospheric stains, allowing them to be washed away with a simple water rinse. PROSOCO Heavy Duty Restoration Cleaner is a concentrated compound for cleaning extremely dirty and heavily stained masonry typically found in large cities or high pollution areas. Used properly, it cleans brick, marble, granite, sandstone, terracotta, exposed aggregate and other masonry except limestone and concrete. 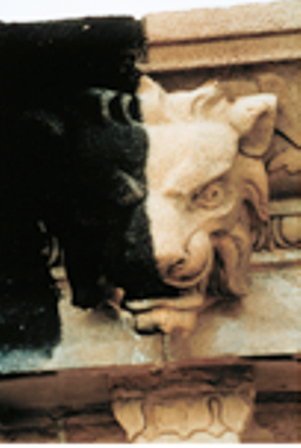 This product has been safely and effectively used to clean historic structures worldwide. Traffic Film Remover is a general purpose, high active and highly dilutable TFR.